Today www.islamibankbd.com Noticed there MCQ Test Job Result on there Official Website. 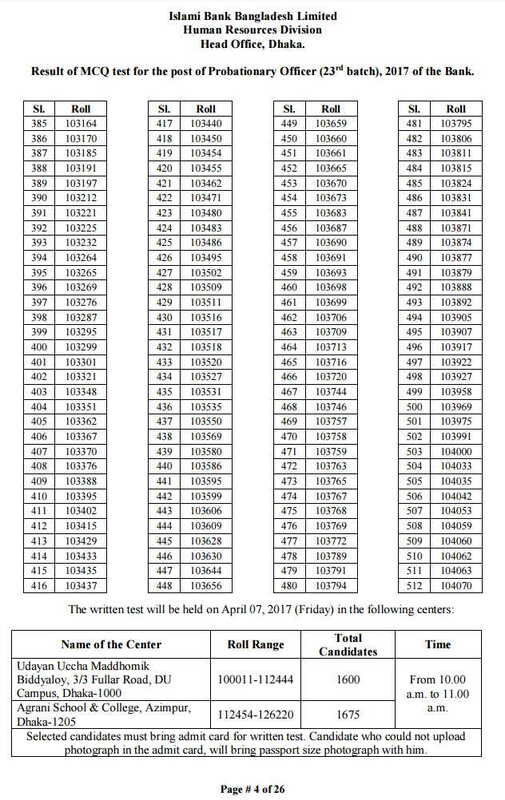 Islami Bank MCQ Test Result 2017 published and You can Download Full Result Sheet as a PDF format. 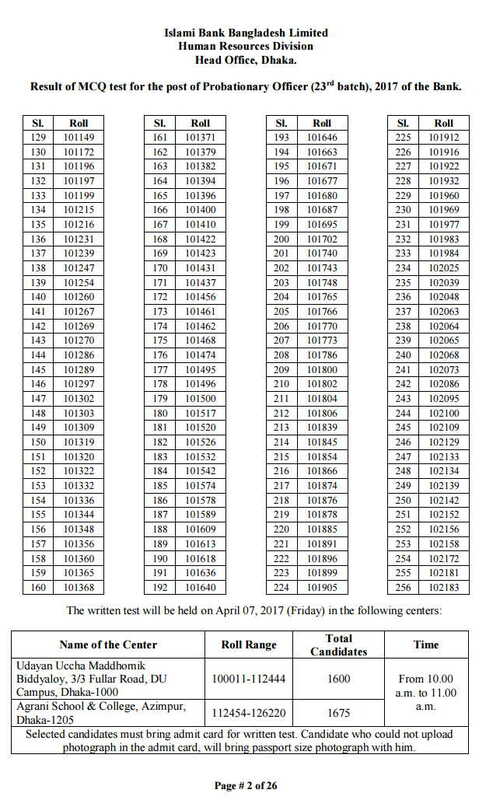 There are total 3275 Candidate are Qualified for Written Exam of Islami Bank. 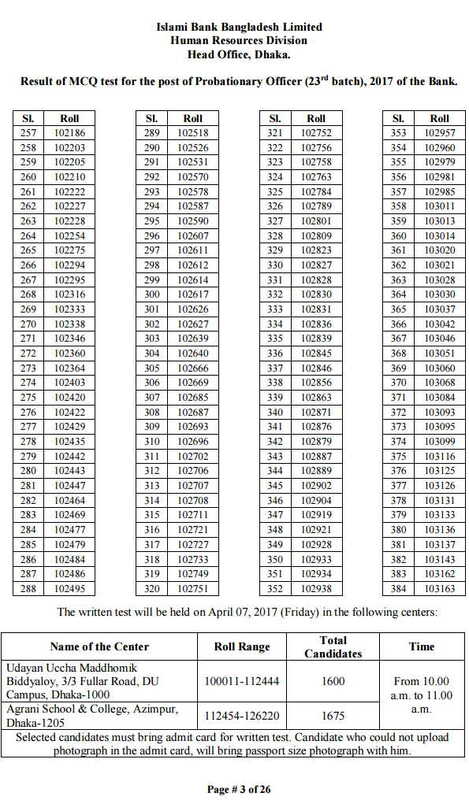 Result of MCQ test for the post of Probationary Officer (23rd batch), 2017 of the Bank. Bangladesh Islami Bank MCQ Full Result are available on there official website. 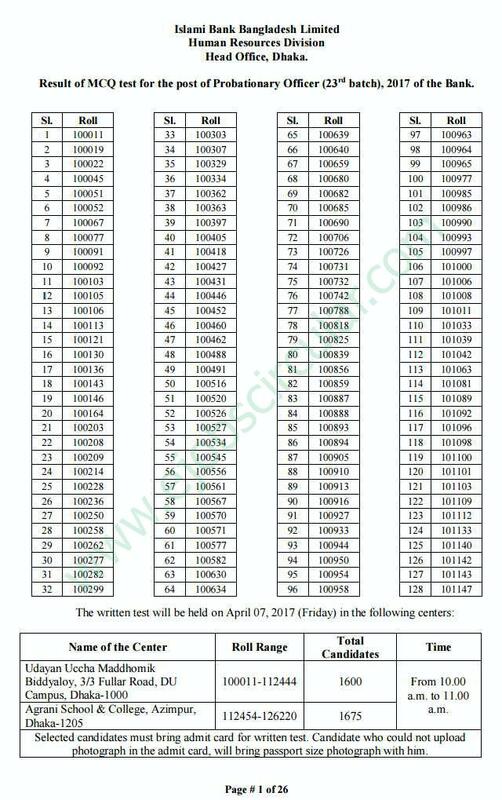 Click Here For Download Full Result of Islami Bank April 2017. For Next Updates about Islami Bank Admit Card Download, Probeshonary Exam Result Etc Stay with Us. This entry was posted in job results and tagged jobs Results by ejobscircular. Bookmark the permalink.